If this message is corrupted or you are unable to view images please click here. Great Promotion: Buy 3 Bottles of Sea Buckthorn Oil and Get 1 FREE! 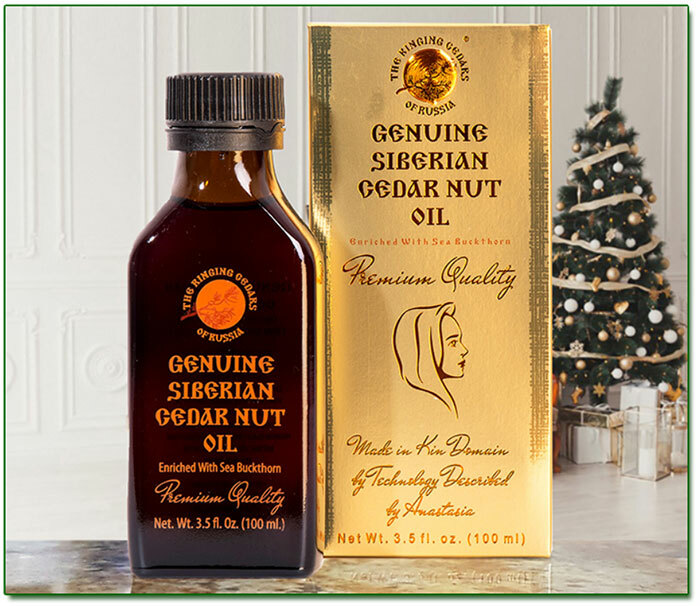 Incredible discounts on Siberian Cedar Nut Oil! "Ringing Cedars of Russia" brand Specials! 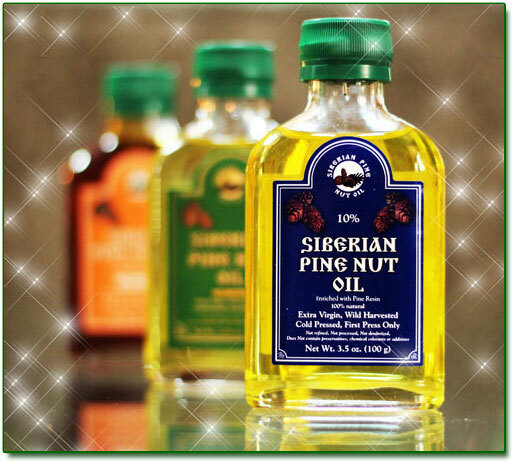 "Siberian Pine Nut Oil" brand Specials! Limited time offer for Australia and New Zealand: spend $200.00 and over and receive 50% off on shipping. WRITE YOUR FEEDBACK - GET 5% OFF YOUR NEXT ORDER! According to the results of International Cedar Nut Processors Association the company Ringing Cedars of Russia is Number One for producing the Best Quality Products! The Bolshoy Kamen [“large stone”] kin’s domain received its name in the summer of 2005, but the history of its development began in 1992, on the initiative of the Kulyasov family. 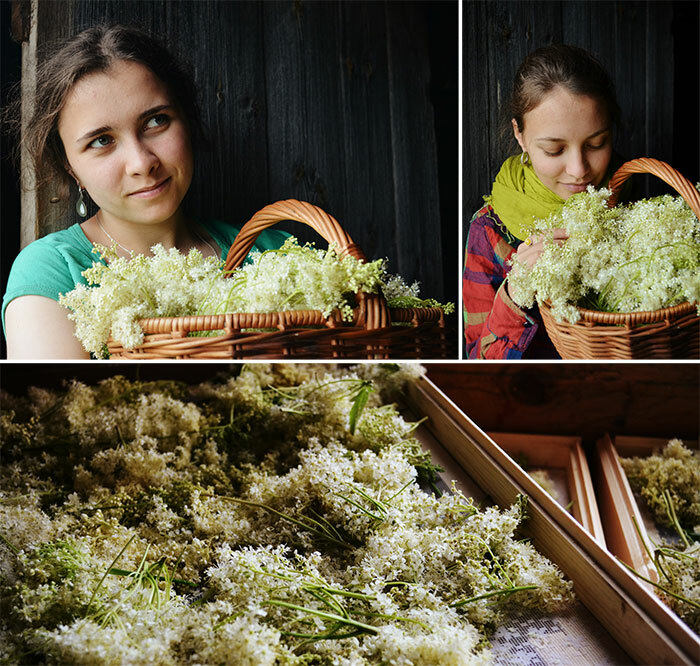 Antonina and Ivan realized the utility of life in a rural area in an ancestral home: they were inspired by the idea of environmental ethics. They inherited 50 acres of land and marked out 50 acres of hayfield, and began to engage in organic farming/permaculture and gardening. 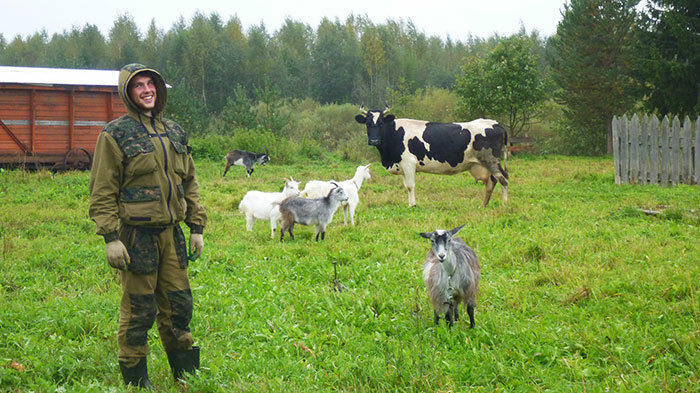 Antonina and Ivan are engaged in agriculture, collecting wild medical herbs, berries and mushrooms and also production of honey. 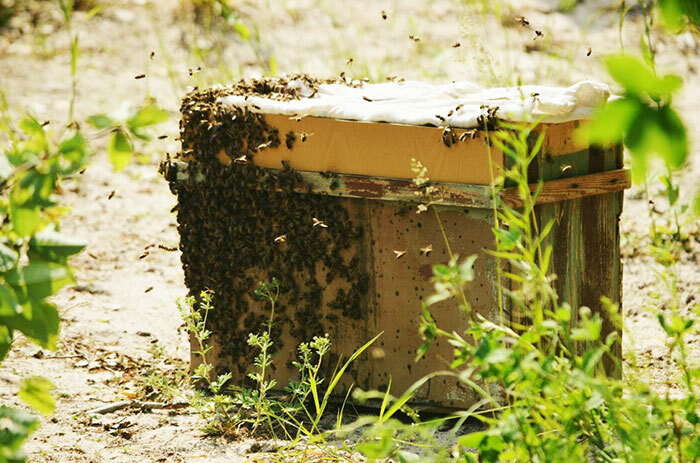 They have 6 trap beehives in which they have attracted 4 wild swarms of bees last year and which have given them 80 kg of honey by August. 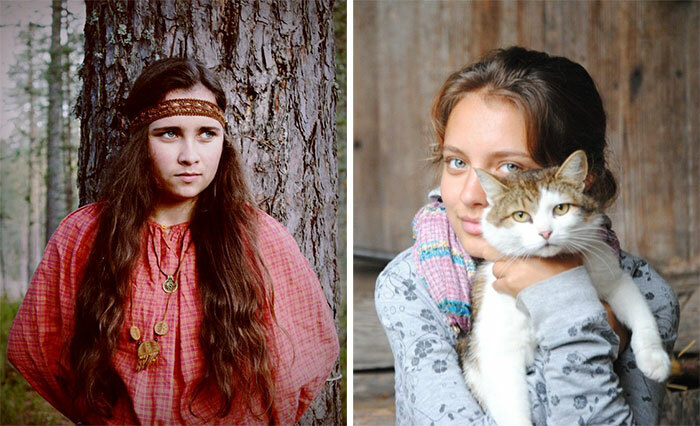 Their daughters Dasha and Masha sew folk clothes, paint fabrics and make jewelry with semiprecious stones. The Kulyasov family takes part in the Summer School project. The Summer School is an area where the best specialists offer practical knowledge about nature, the forest, and ecology, traditional and modern village life, and agriculture. They are always happy to welcome the visits of new and old friends! Holiday Season is creeping upon us, the feeling of joy, laughter, and happiness is already felt in the air! May this Holiday Season surround you and your family with love, pleasant surprises, and treasures of Christmas moments, which will turn into a delightful memories remembered with a smile throughout the year. SEA BUCKTHORN COMBO - BUY 3 GET 1 FREE! Cedar Nut Oil with Sea Buckthorn berries is also known as Sea Buckthorn oil is an infusion of Ses Buckthorn berries on the base of Cedar nut oil. As Sea Buckthorn is known to be a strong skin repair product, it is widely used in luxurious hair and facial cremes, as when it is applied externally it can assist in: fighting dermatological diseases, improve skins complexion, reduce wrinkles and calms an irritated skin. Simply, massage your body and face in circular motion to allow the Extract to penetrate deeply into your skin and then wash out in 10-15 minutes. As you may have heard that everything starts from within our body; therefore it is also essential to intake the Cedar Nut Oil enriched with Sea Buckthorn internally. When taken internally, Sea buckthorn infusion can assist with various stomach conditions such as ulcers, gastritis, acidity, constipation, and irritated bladder and intestines. When you begin to drink the infusion, your immunity will increase. All the glands and organs of your body will begin to function more intensively and more effectively, improving your overall immune system. CHRISTMAS COMBO: CEDAR PENDANT WITH BARK + CEDAR CONE + CEDAR SPOON SET with 20% OFF! Cedars emit essential oils and phytoncids, which kill dangerous bacteria, therefore the air in the Cedar woods is pleasant and excellent for health. The antibacterial properties of the Cedar Wood are transferred to all products made from it. However, the most surprising salutary effect of the Cedar, as noted by people, is that the presence of Cedar Wood positively impacts human health. The explanation behind this is that it possesses special bio-energy. Cedar's energy simultaneously provides strength and relaxation to the body. Cedar spoons are not only beautiful, but they are also made from ecologically friendly material. 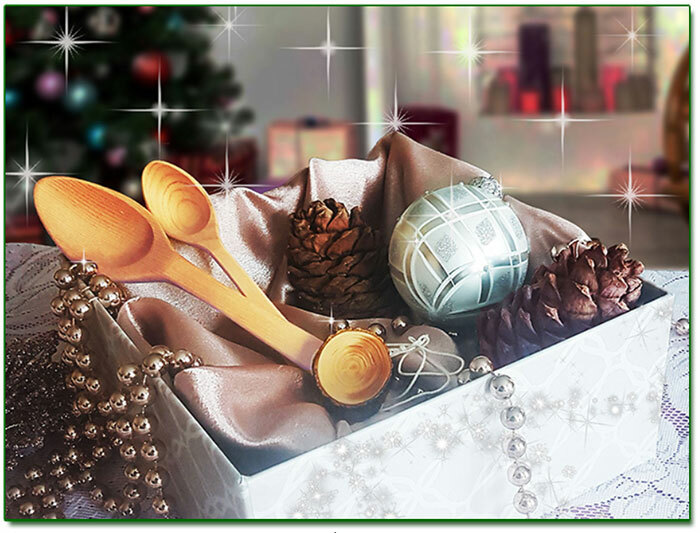 It is not only safe to use the Cedar Spoons, but it is also beneficial for health. By consuming food using Cedar Spoons, one's organizm also absorbs the phytoncids and healthy resins present in the Cedar Wood. Cedar Spoon, unlike metal one, does not oxidize food or saliva. Therefore, it promotes optimal digestion and settling of the food in the stomach. The Cedar Pendant with bark would go wonderfully as a Gift with the Cedar Spoons. It is believed that those who wear one will be connected to the universe and experience greater concentration and mental alertness. The great addition to any Christmas gift will be Cedar Cone. Beside being a great addition to Christmas spirit cedar cone is a meaningful gift. It contains upto 80 viable cedar seeds which can be planted to make our planet greener. CEDAR PILLOW - BUY 1 GET 2nd HALF PRICE! When placed in a room, the Cedar Pillow will not only disinfect the air, but also provide comfortable support, which will result in restful, deep and healthy sleep. The wonderful aroma of the Essential Oils emitted by the Cedar Film from which the Pillows are made; will provide the feeling of deep relaxation, and the sensation of being surrounded by the purifying nature of Cedar Forest. The Cedar Film is rich in Essential Oils, which have a tendency of getting absorbed into the blood steam with every breath you take, and expend your arteries; which allows for a much quicker blood circulation;, and therefore is wonderful for prophylactics of various respiratory and cardiovascular diseases. 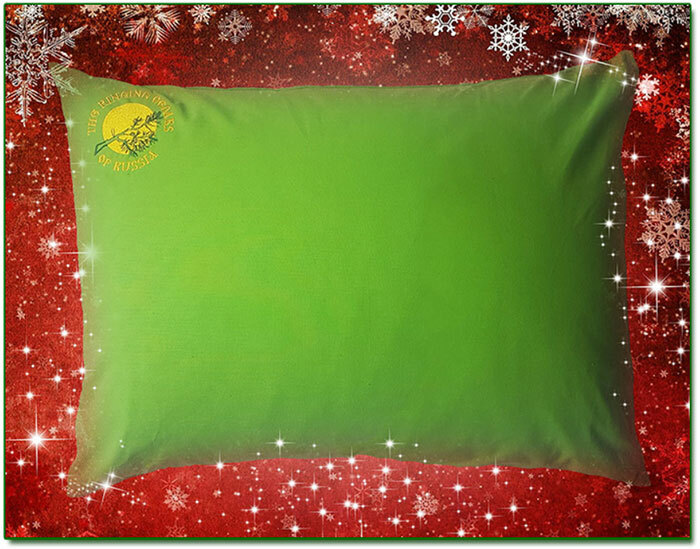 The bioenergy healers claim that Cedar Pillow creates natural energetic shell of 1 meter radius that can protect your family from the harmful emissions of computer and electric appliances. We all dream of natural, deep and restful sleep, which makes this Gift of nature perfect for anyone! "CEDAR POWER" - CEDAR NUT FLAKES - BUY 2 GET LARCH RHOMB PENDANT FREE! Our Cedar Power – cedar nut flakes - is appetizing delicatessen that can improve any holiday meal. The protein in the flakes made from the kernel of the cedar nut surpasses an ideal protein in its content of histidine, methionine, cysteine, and tryptophan, and has a well balanced composition. 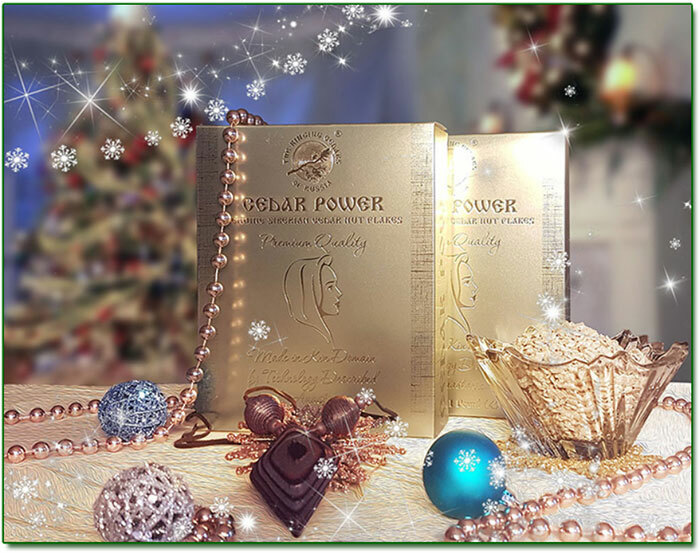 The Cedar Power will be a perfect gift for pregnant women, children, and breastfeeding mothers. This combo comes with a free gift of larch rhomb pendant. Beside displaying beautiful wood pattern of Siberian larch the pendant also emits essetial oil of larch which has pleasant coniferous aroma and anti-bacterial properties. The beautiful packaging of Cedar Power and the healing power of it and a larch pendant will add elegance and meaning to your gift. The plants that surround us are not merely a green background. 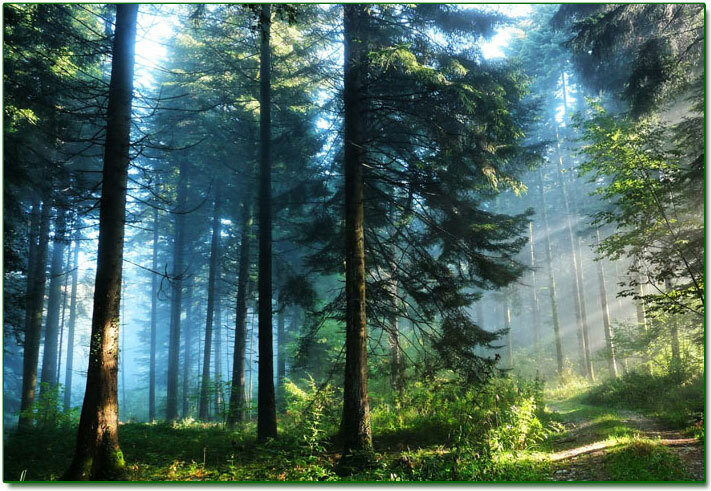 The healing properties of trees are used for the treatment and prevention of various ailments. Since ancient times, it has been thought that flowers, bushes, and trees absorb information they receive from the environment, information that is remembered and preserved. Plants possess positive and strong energy. Their energy is the force of life, continual growth and renewal. But many people, even those with medical training, have no idea that certain trees are valuable not only for their leaves, buds, or bark, but are also able to treat a person directly with their biofield, replenishing the person’s energy - this method of treatment is called dendrotherapy. Just like a person, each tree is surrounded by a biofield and its own aura, and is capable of transforming negative human energy into good and active energy that carries only a positive charge. However, each tree absorbs and transforms only specific forms of vibrations. Some process the negativity of anguish, mental collapse, depression, and grief; others transform the energy of vanity and chaos; still others clear away aggression, hate, and anger. Dendrotherapy divides all trees into vampire trees (trees that draw out energy) and donor trees (trees that give energy). Prominent among donor trees are oak, pine, chestnut, birch, acacia, and the lime-tree. The Siberian cedar, in turn, is considered to be a universal donor, and is suitable for the majority of people. The Siberian cedar, one of the oldest trees in the cedar family (approximately 100 million years old), reaches the age of 400 years, although more widespread are Siberian cedar forests that are 200 to 250 years old. In favourable conditions, a Siberian cedar lives up to 800 years. Since ancient times the Siberian cedar has amazed people with its natural potency, tenaciousness, and healing power. It has by rights been called the healer tree, the mystery tree, the longeval tree, the benefactor tree, the Siberian giant. Among the Slavs, the tree has always been an object of worship. In written sources from the 11th to the 17th centuries, there is reference to pagans worshipping plants and trees, and praying beneath them. Chroniclers mention sacred groves existing among the Slavs in ancient times. Judging from this, these were, as a rule, forest areas enclosed by a fence. In these places, the worship of the trees was combined with elements of the cult of Christianity. Belonging to the category of revered and sacred trees were also individual trees, especially old trees, growing alone in a field or close to healing springs. People came to these trees in order to rid themselves of diseases, the evil eye, or infertility, and brought gifts and sacrifices (towels, clothing, ribbons were hung on the trees), prayed, brushed up against the trees. Sick persons climbed through the hollows and cracks of these trees, as if to leave their illnesses behind. The Siberian cedar possesses a very great capability for the self-healing of its wounds. According to the reports of Siberian cedar researchers, when a tree is tapped, the wound grows over with wood beginning in the first year of tapping. Over time, the wounds and their entire periphery grow over completely, and the trees do not differ externally from those that have not been tapped. During scientific research conducted in Siberian cedar forests, it was determined that the Siberian cedar possesses the ability to attract and accumulate cosmic energy. Possibly this explains those miracles of healing that often occur with people who love to go for walks in Siberian cedar groves. The Siberian cedar is one of the most energetically powerful trees. It spreads concentrated pure energy and for that reason is one of the favourite trees of hermits and healers. This tree itself unerringly identifies a tired, weakened, and anxious person. It vigorously envelops the person with its own biofield, and the person is penetrated by the tree’s stern charm and is able to sit beneath the crown of the tree for hours, feeling all his or her sorrows drifting away. From the point of view of those who practise dendrotherapy, the Siberian cedar, using its own strength, reveals the human interrelationship with the solar system, acting as an intermediary between it as a source of cosmic energy and the person. In order to give to people the light energy it has accumulated over the many decades of its life, a Siberian cedar must directly come into contact with a person. If this does not happen, the Siberian cedar makes a ringing sound. Usually this happens over the course of three years, after which, not having the ability to give its energy through the cosmos, the Siberian cedar is not able to give it to a person either, and it gradually dies. In the opinion of authoritative researchers, the healing properties of the Siberian cedar increase the closer they grow to the north. 1. You can recharge yourself only from adult trees (trunk diameter more than 30 cm) that are well proportioned and standing alone (neighboring trees should be no closer than 6–10 metres). 2. It is best to charge yourself with the Siberian cedar’s energy in the early evening, long before sunset. 3. It is especially beneficial to be near trees planted by you or your ancestors, trees that feel the care and warmth of your hands, and they will repay you a hundredfold. One or several Siberian cedar trees on a plot of land harmonizes the tree’s energy and creates an atmosphere of love and goodness. 4. Since the integrated frequency of the Siberian cedar, as a rule, is higher than the individual vibration frequency of a person (650–700 biohertz—according to the data of O. A. Khasyanov, even up to 800 biohertz—which is higher than the average individual vibration frequency of a person of 500–600 biohertz), you must prepare to be charged: if you are agitated, are in an unbalanced mental state, are experiencing negative feelings associated with, for example, illness or stress, the high healing energies of the tree will not be accessible to you; so, before beginning to recharge yourself, you must cast off negative emotions and bring yourself into a state of calmness. 5. Next, you must approach the tree from the west and, hugging it, stand like that for one to two minutes to start, observing your feelings. 6. Standing near the tree, feel the roots of the tree, the movement of the Earth's energy from the roots through the trunk upwards to the crown of the tree. Then feel how the energy of the Cosmos is received through the leaves and moves through the trunk downwards, reaching the roots. Become one with the tree, in your mind flow together with it, feel the movement of the energy moving upwards and then down. 7. Try to relax and to think of nothing. Then begin to breathe rhythmically: inhale - hold your breath - exhale. Inhalation and exhalation should have the same duration - 4, 6, 8 seconds—while the breath should be held for approximately 4 seconds. When taking a breath, you should imagine the energy of the tree rising through your legs and body to the solar plexus. Even better, see the energy in colour: silver, light blue, violet. When holding your breath, imagine the energy accumulating in the area of your solar plexus. During the first half of the exhalation, the energy rises from the solar plexus upwards, and during the second half, it moves to the lower part of the body. 8. Absorb the energy, imagining it flowing through you, and let it pass through every cell of your body until you have a feeling of special inner purity and complete peace, relaxation, and a sense of absolute harmony with all existence. 9. When you feel a slight, pleasant dizziness, end your exposure to the tree: you have received what you needed. 10. Be sure to thank the tree when leaving it. I ordered the pendants and have been sleeping so much better with them under my pillow. I purchased the beautiful cedar pendant and ever since I been wearing it I feel so much more happier within myself. I really feel connected to the ringing cedars I would like to thank your company for selling products inspired by the books and anastsia. I send much love and gratitude. I have been wearing my Cedar Pendant for a couple of years now and receive compliments and questions about it regularly. Everyone loves it. The protein in the flakes made from the kernel of the cedar nut surpasses an ideal protein in its content of histidine, methionine, cysteine, and tryptophan, and has a well balanced composition. The carbohydrate composition of the kernel of the cedar nut is represented by polysaccharides (starch, cellulose, pentosans, dextrins) and water-soluble sugars (glucose, fructose, sucrose, and raffinose). According to the results of medical research, a similar protein facilitates the dissolving of harmful cholesterol in the blood, and also prevents the formation of cancer cells. The lecithin contained in cedar nut flakes is a basic chemical substance for the formation of the intercellular space, the normal functioning of the nervous system, and the healthy activity of brain cells. Lecithin is essential for the organism as a building material for the renewal of damaged cells. Lecithin is also the basic transport substance for the delivery of nutrients to the cells. Lecithin makes up 50% of the liver, 1/3 of the myelin insulating and protective tissues that surround the cerebrum and spinal cord. Lecithin is a powerful antioxidant and prevents the formation of highly toxic free radicals in the organism. 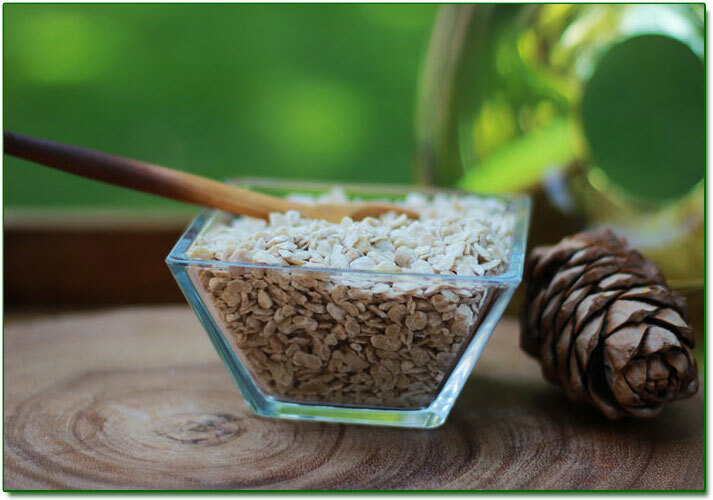 The importance of the flakes with regard to vitamins is characterized by the presence of fat-soluble and water-soluble vitamins, the most basic of which are vitamin F, the tocopherols, thiamine, and riboflavin. Cedar nut flakes should definitely be present in the food allowance of pregnant women, children, and breast-feeding mothers (for lactation). In olden times, when milk was completely absent, children were fed with a mixture prepared from cedar nut flour. Cedar nut flakes are natural protein, and are extremely suitable for athletes to increase muscle mass. Cedar nut flakes are used as a complement to food (in porridge, salads), as part of flour-based confectionaries, as well as a separate food product. The consumption of 3–5 tablespoons of flakes a day fully provides the organism with essential components. 2. Add warm milk just to cover ingredients and stir. Add more milk if the mix seems too thick and stir again. Instead of milk you can add juice, maple syrup, kefir or yogurt. 3. Depending on the type of liquid you use, you may wish to leave cedar nut flakes for 10-15 minutes to mesh well with it. I am on an elimination diet to regain better health, having a damaged immune system and digestion. Since I cannot have any grains, Cedar Nut Flakes have been a godsend for breakfast (you can eat only so many greens in a day!). I make them with hot water, letting steep while I drink my tea, and love the nutty taste in the morning. Thanks! Looking forward to trying the recipes. I am not the type who likes cedar nuts, but these flakes are delicious! These have a soft taste and are great in smoothies. Gives a wonderful consistency to them! I decided to try them since I am vegetarian and need variety with my proteins. Great option. The cedar nut flakes are very nutritional! The first time I put a bowl of them with milk and felt full after eating just half of it. I add few table spoons in my other cereals and salads every day and I love their delicate taste. 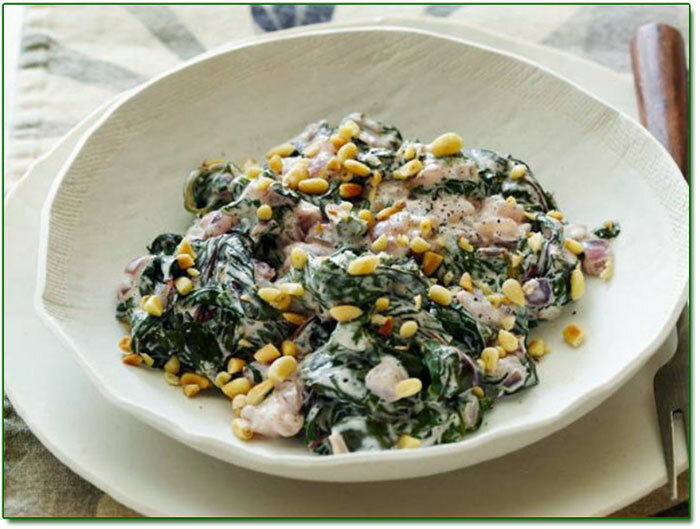 Combine the Swiss chard, onions and 1/2 cup water in a large pot. Bring to a simmer over high heat, lower the heat to medium, cover and cook, stirring frequently, until the chard is very tender, about 15 minutes. Meanwhile, combine the cream cheese, nutmeg and 1/4 cup water in a medium saucepan. Place over medium heat and cook, whisking frequently, until the cheese melts and the mixture just bubbles around the edges. With a slotted spoon, transfer the chard to the pan with the cheese mixture (leave any excess liquid in the pot). Mix well and season with salt and pepper. Garnish with the cedar nuts. In a large (12-inch) skillet over medium heat, heat the raisins and cedar nuts in 2 Tbs. oil for about 1 minute. With a slotted spoon, transfer the raisins and cedar nuts to a plate. Add the breadcrumbs and garlic to the pan, and sprinkle with 1/4 tsp. salt. Cook over medium-low heat until slightly brown, 5 to 7 minutes. Transfer to a plate. Put the remaining 2 Tbs. oil in the pan with the spinach, and cook until the spinach just wilts. 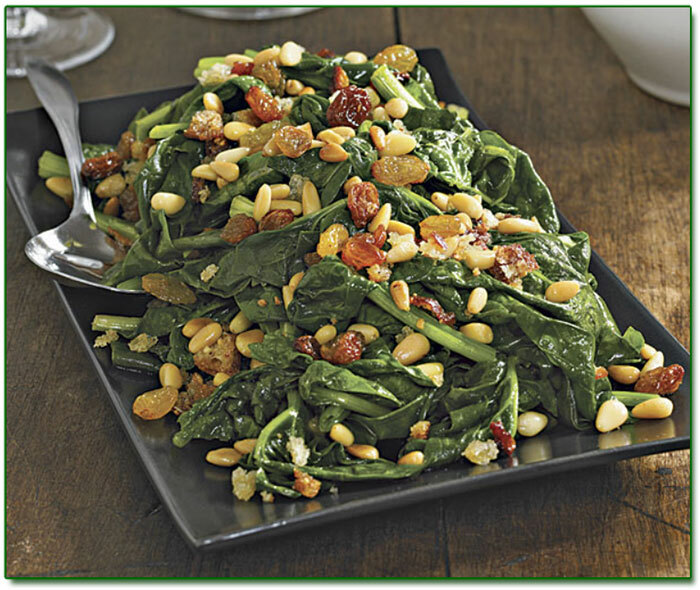 Transfer to a serving platter, toss with the raisins and cedar nuts, top with breadcrumbs, and serve. This is a simple and healthy side dish that comes together in less than 15 minutes and requires only three ingredients! Bring a large pot of water to a boil. Add the green beans and cook for 3 minutes. Immediately strain the green beans and rinse with cold water for about 1 minute (alternatively, place green beans in a bowl of ice water). Pat dry. Turn a large pan to medium-high heat. Add the oil. Once the oil is hot, add the shallots and cook for 2 minutes until golden. Add the green beans to the pan and toss for about 1 minute to warm. Salt and pepper to taste. 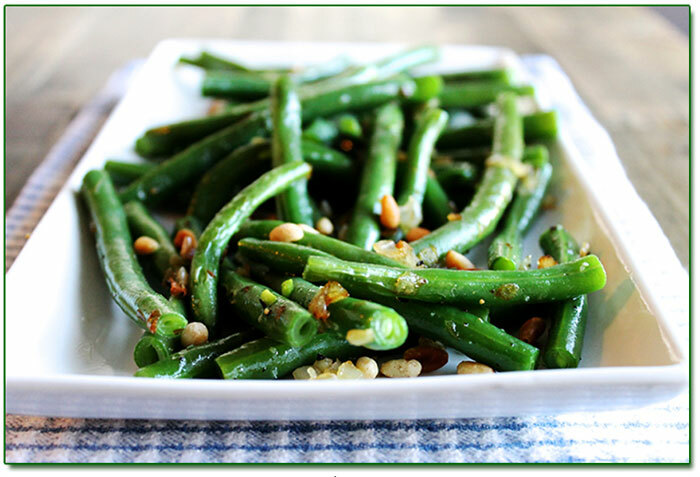 Place the green beans and shallots on a platter and sprinkle with the cedar nuts. CEDAR NUTS CAN BE SUBSTITUTED WITH CEDAR NUT FLAKES. WRITE YOUR FEEDBACK AND RECEIVE 5% OFF YOUR NEXT PURCHASE! 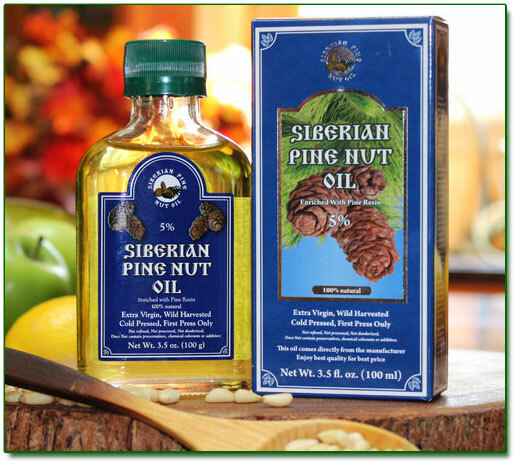 "Ringing Cedars of Russia" and "Siberian Pine Nut Oil" brands of products! Buy products of both brands at our online Catalog! 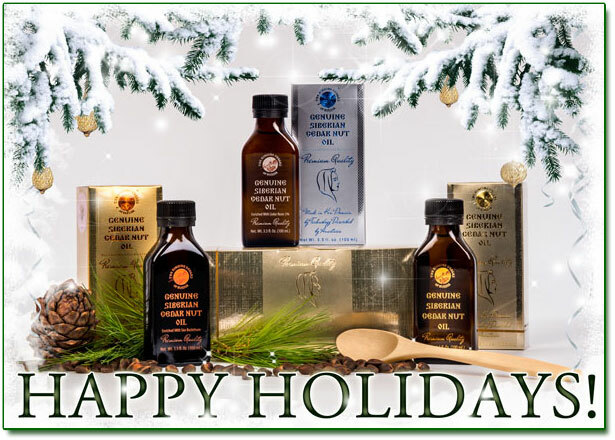 If you'd like products of "Ringing Cedars of Russia" and "Siberian Pine Nut Oil" now you can order both lines of products at our online CATALOG. 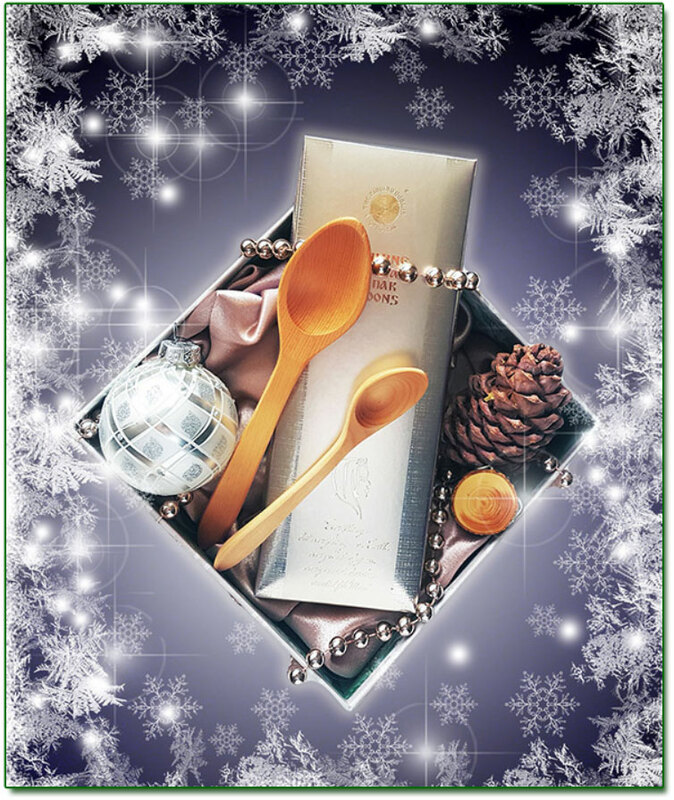 Christmas Promotion: Buy Combo of Cedar pendant with bark + Cedar Cone + Cedar Spoon Set with 20% OFF! CHRISTMAS PROMOTION for everybody! Buy Combo of Cedar pendant with bark + Cedar Cone + Cedar Spoon Set with 20% OFF! SPECIAL PROMOTION for everybody! Purchace 3 bottles of Siberian cedar nut oil enriched with Sea Buckthorn berries - Gold Collection - and receive 1 bottle FREE! ADDITIONAL 25% OFF for combo: Buy 3 Cedar Nut Flakes and Get 1 FREE! SPECIAL PROMOTION for everybody! 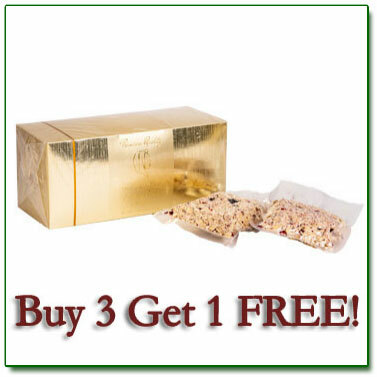 Purchace 3 boxes of Cedar Nut Flakes with Dry Fruits and get 1 FREE with ADDITIONAL 25% OFF! Short Time Sale: Buy Root Pendants with 30% OFF! SHORT TIME SALE for everybody! Now purchace Root pendants with 30% OFF! 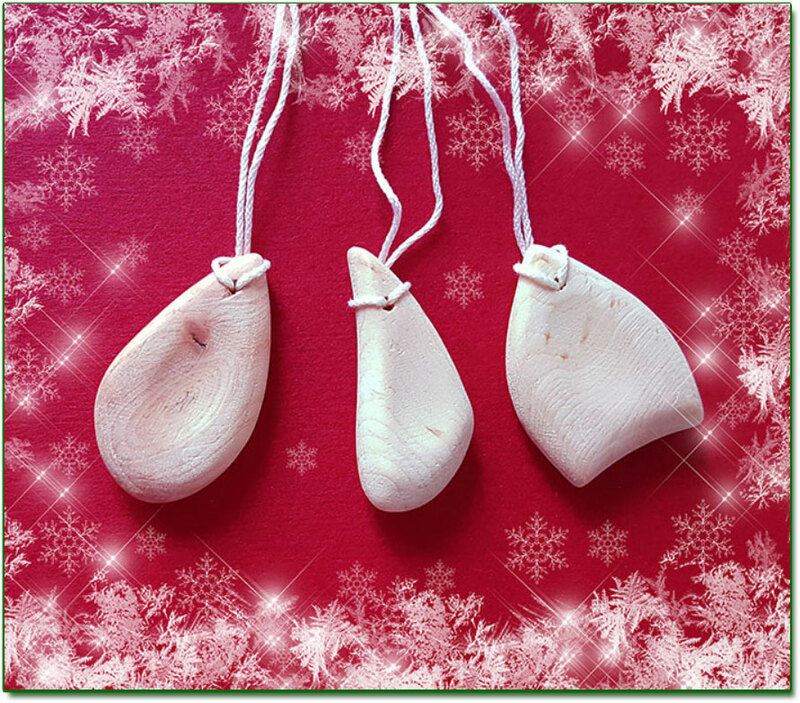 Christmas Combo: Buy 2 "Cedar Power" cedar nut flakes (no dry fruits) and get larch Rhomb pendant FREE! Christmas Combo: Buy 2 "Cedar Power" cedar nut flakes (without dry fruits) and get larch Rhomb pendant FREE! 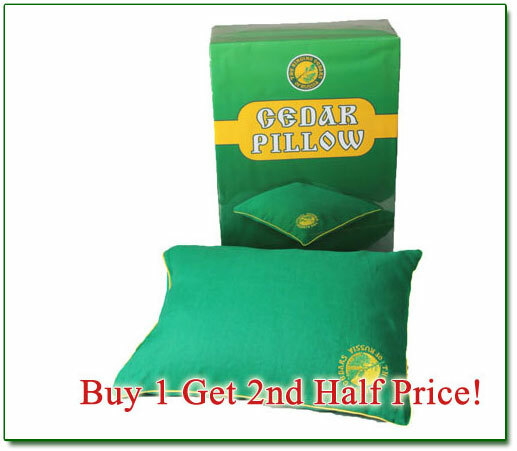 Great Promotion for Cedar Pillows: Buy 1 Get 2nd Half Price! SPECIAL PROMOTION for everybody! Purchace One Cedar Pillow and get Second Half Price! The following Promotion is available in Canada only. As we are a US based company all our prices are in USD. However, at this time we offer our Cannadian Customers to buy products in Canadian dollars with 1:1 exchange ratio! Simply call us to place your order at 416-994-6495 (Mon.-Fri. 9am-6pm Toronto time). Please note, this offer is valid only by phone! Also, please note we can combine products of "Ringing Cedars of Russia" and "Siberian Pine Nut Oil" brands only for orders made by phone. 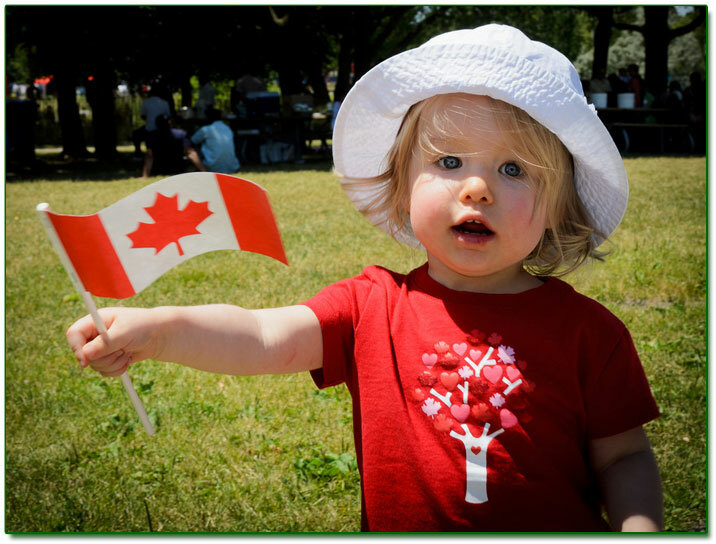 TAKE ADVANTAGE of our promotional and quantity discounts, plus the FREE SHIPPING after $147.00 for Canada. 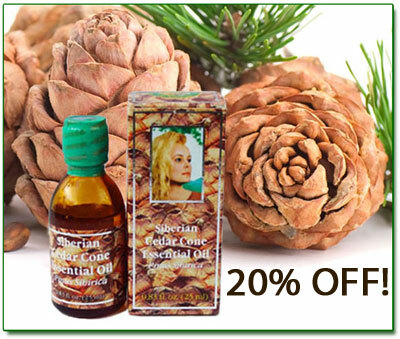 Limited Time Promotion: Get 20% off on Cedar Cone Essential Oil 25ml! Only for a limited time buy essential oil of cedar cone 25ml with 20%off! ADDITIONAL 25% OFF for combo: Buy 3 Bottles of Pine Nut Oil enriched with Resin 5% and Get 1 FREE! SPECIAL PROMOTION for everybody! 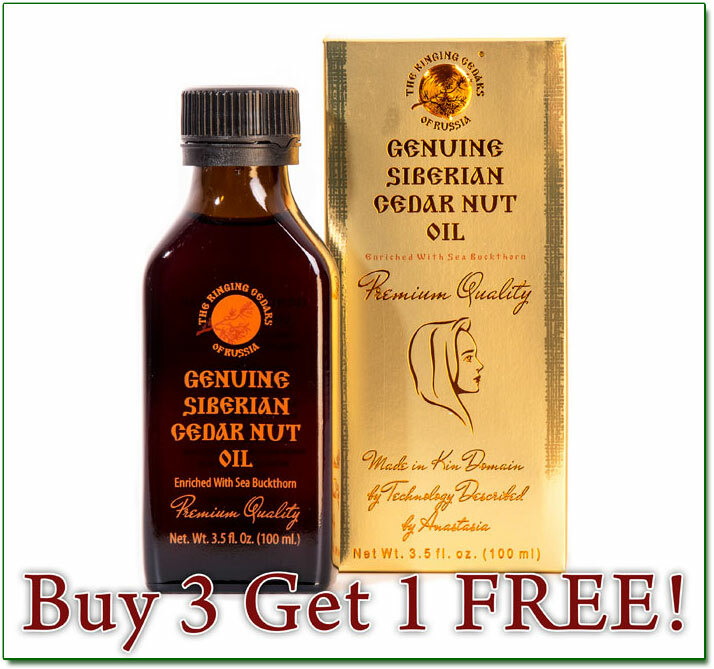 Purchace 3 bottles of Siberian pine nut oil enriched with Resin 5% and receive 1 bottle FREE! 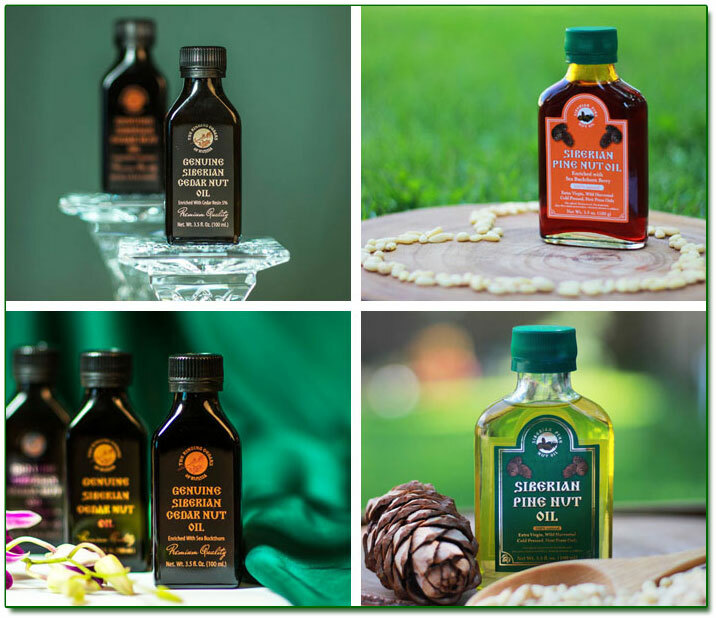 ADDITIONAL 30% OFF for combo: Buy 3 Bottles of Pine Nut Oil and Get 1 FREE! SPECIAL PROMOTION for everybody! 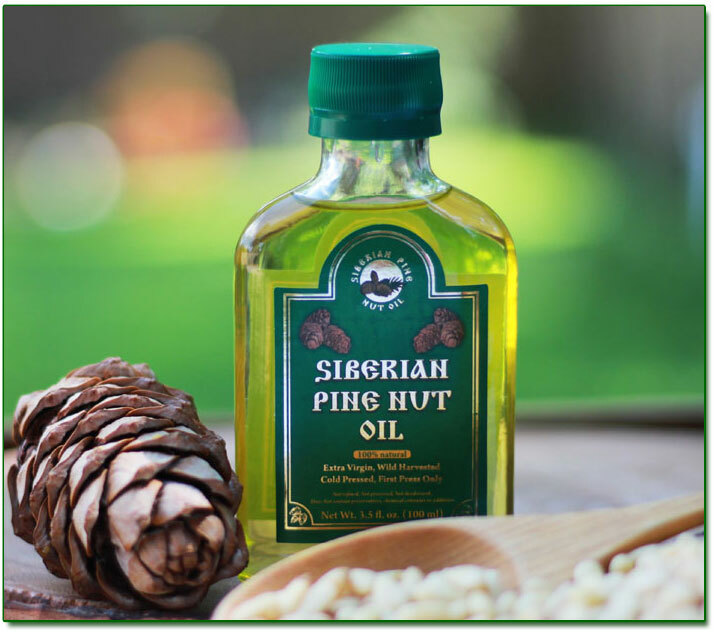 Purchace 3 100ml bottles of Siberian pine nut oil and receive 1 bottle FREE + ADDITIONAL 30% OFF! Purchase for $200.00 and over and receive 50% off your shipping! Combine this offer with our promotional and quantity discounts for the best advantage. Please Note: This offer is valid only for regular shipping method: USPS: Priority Mail International. The adjustment of shipping price is done after the order is finalized. The updated invoice will be resent to you. "The European Skin Care Clinic"
For a full list of our distributors please click here. One of the best books to read, it has strong messages that need to be heard again. I couldn't stop reading it and finished first book in one set of 4 hours, amazing. Life changing book! It is the best and most important book of my life. Maybe not everyone gets it ... but it just makes you feel better. Anastasia is a book that I purchased for my wife to read. In her excitement, she read the entire book to me. I found this book to be delightful, insightful and a great read for anyone desiring to realign and connect with nature and Spirit. I have used Sea Buckthorn Oil topically and I would have to say...one of THE best oils I have tried. No greasy after effect like some oils. Really hydrates the skin to a degree where people ask...what do you use on your skin because you look so good. Now that I know there is the use of this oil internally...this just takes the cake...I mean really....this is going to be awesome!!!! This product (cedar nut oil) works for me. I used to suffer from stomach inflammation for more than 2 months. Doctors had prescribed me those steroids pills to reduce the inflammation, but I get tired of using steroids pills. Alternatively, i start using cedar Oil after I read good things about its health benefits specially for digestive system. The result is great. So far ( one week since I start using it) no pain, no cramping, and no more vomiting. As I’m writing this feed back, I’m ordering my second bottle. Really brilliant work you do in providing us access to such profound health support. In a world of human beware, that the bottom line is often the driver for all interaction, I feel blessed to connect with such honest decency. Pleased to have found you. I heard about you from a friend that recommended your products for my ulcer. The quality of your oil is excellent and I enjoy talking to your representatives. 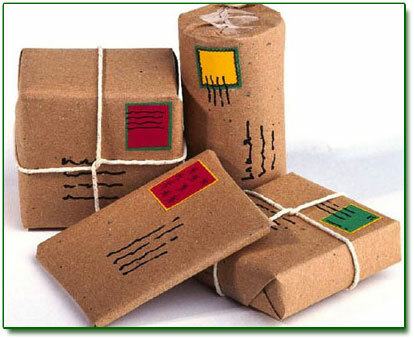 Looking forward to my second package... should arrive soon. Thank you. For more reviews please click here. All services are available 24 hours a day / 7 days a week / 365 days a year! 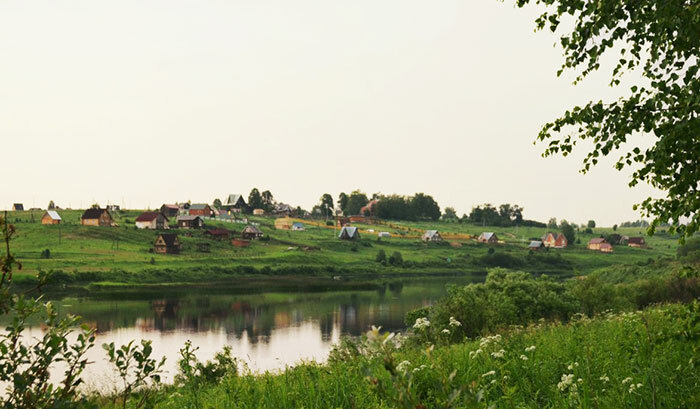 www.RingingCedarsofRussia.org currently has three regional warehouses in Europe, USA and Canada. Our Customer Service department is available to serve you 24 hour a day, 7 days a week including ordering by phone and inquiry assistance. Ringing Cedars of Russia Customer Service Representatives respond to our customers on a timely basis with accurate information. We work hard everyday to improve our customer service to the level of satisfaction our customers deserve and have come to expect. Personalized attention is what we provide. Understanding your questions and solving any problems as quickly as possible is of great importance to us. Our customer service department is available 24 hours a day, 7 days a week, 365 days a year. Earnest request to authors of articles and scientific works to please send your materials to us to the address info@earthlife.info with a subject "Articles" . Upon a separate agreement your works may be published in the internet newspaper "The Earth" , in separate collections, in the Resource Library of the Source of Life Association, and on the pages of the websites devoted to the "Ringing Cedars" movement. Also you can open a tread on a forum devoted to readers of Vladimir Megre, at http://www.ringingcedarsforum.com/index.php and publish your works. We value your work greatly and consider publication activity one of the highest priorities. Please send your works of art, poems, songs, and paintings, inspired by the books of Vladimir Megre to the following address info@earthlife.info with a subject "Art" . Best ones will be published in "The Earth" Newspaper. Also, you can open a thread in the ART OF SOUL section of the forum devoted to readers of Vladimir Megre, at http://www.ringingcedarsforum.com/index.php and publish your works. For a possible answer to your question we advise you to review with the content of the internet conferences held by Vladimir Megre for the readers of the "Ringing Cedars of Russia" series of books and our Frequently Asked Questions. You can direct your questions to the Letter Department of EarthLife.info website. Your question will be answered within 7 business days. Sign up for "The Earth - Online Newspaper" . Click "Submit" to securely sign up for this online newspaper. You will receive up - to - date information on the "Ringing Cedars" movement, as well as news, informative articles, our promotions, and more! We respect our customer's privacy. We never exchange personal information with a third party. To unsubscribe from the online newspaper please use the Unsubscribe link at the bottom of this page. Click Here to go to the bottom of this page. Information entered here is used for this referral only and no other purpose. Word of mouth is our best advertising. The world needs the Ringing Cedars to be widely available in English, please tell your friends and neighbors about us. Better yet, share our Web site, http://www.earthlife.info, with them and help spread the word. It is wonderful if Anastasia's dream comes true in this country too. If you found this e - news useful to you please forward it to your friends. You have received this Newsletter because you are signed up on our mailing list. The information contained in this mail is presented for educational purposes only. The information should not be considered complete, nor should it be relied on to suggest a course of treatment for a particular individual. Always consult with your physician, Doctor or other qualified health care provider before embarking on a new treatment, diet or fitness program. You should never disregard medical advice or delay in seeking it because of something you have read in this email. The information contained in this mail is compiled from a variety of sources ("Information Providers" ) and experiences. Neither this email nor Information Providers directly or indirectly practice medicine or dispense medical services, and so all information should be treated as thus. You hereby hold RingingCedarsofRussia.org, or ANY companies/individuals associated with RingingCedarsofrussia.org and it's affiliates NOT responsible for any injury that may occur either directly or indirectly by use or misuse of the information or ideas contained within. The content of "The Earth - Online Newspaper" is copyrighted by http://www.earthlife.info, and, occasionally, other rights holders. You may forward this Newsletter by e - mail an unlimited number of times, provided you do not alter the content in any way and that you include all applicable notices and disclaimers. You may print a single copy of each issue of E - News for your own personal, noncommercial use only, provided you include all applicable notices and disclaimers. Any other use of the content is strictly prohibited without the prior written permission of http://www.earthlife.info, and any other applicable rights holders. Copyright 2006 - 2015 http://www.earthlife.info, All Rights Reserved.